Mazda has officially confirmed that it will be bringing back the rotary engine. 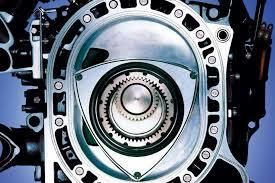 The automotive sector has been waiting eagerly to know in what form Mazda would be implementing its rumored plan to bring back the rotary engine. Now, the Japanese car manufacturer has officially confirmed that it would be bringing back the rotary engine as a range extender for an electric vehicle that would be available for sale from 2020. The model in which the rotary engine would be used would be one of two such Mazda electrified models that would be available at the retail level. The other model would be fully electric. Mazda also made it clear that the rotary powertrain that it plans to use would be small enough to fit “shared packaging layouts.” There is a possibility that both the electrified models would be variants of the same model, in a manner like that of Honda Clarity and the Hyundai Ioniq. Mazda did not divulge further details about the vehicle other than saying that the engine would have a high power output and would be notable for its compactness and smooth operation. Another benefit the vehicle would offer that is that it could be used as a source of electricity when the power grid is down.